Take the Pain out of my Heart ! Humans have arrived at the end of natural evolution. We are in a transition phase to consciously evolve humanity to its desired destiny now. Or active participation in evolution on Earth. Your first and fundamental human right is to lead our planet. or leave it to governments and watch this world suffer. Leaders have the power to turn our planet into a wasteland, or into a beautiful garden. Leaders have the power to turn humans into liabilities or assets. As a leader, you decide if your environment will be a wasteland with liabilities or a beautiful garden with assets. 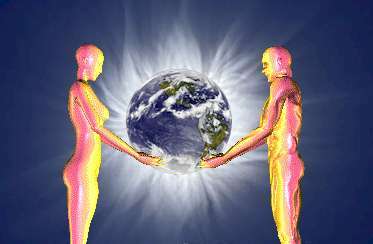 We are a global force that resides at no particular place, evenly dispersed around this planet. We are guided by reality, we are always looking for the truth. We observe the increase of destructive elements in our society to the detriment of life on this planet. Air, land, water, life and people everywhere falling prey to those destructive elements. Our mission is to find, pinpoint and replace those destructive elements with nourishing ones. ?you probably wondering who is speaking to you. It's your consciousness, an integral part of humanity's spirit. This site shows your 'real function' in today's global society. If you page through this website, it has reached its initial objective. This website shows [contrary to the present belief system] that your opinion is vital to achieve a comfortable level of wellbeing for all inhabitants of this planet. It's like a seedling, growing into a tree. When the tree flowers, people will say: "It's beautiful!" Then it bears fruits and people will be nourished by it. - It grows on your opinion (please voice your ideas about building a non-violent global civilization). This website wants you to make decisions on a global scale. Once every person takes responsibility for the peaceful evolution of Earth, life, humanity and the spirit, this site is not needed anymore. This will be when all stupidity of this world has evolved to intelligence. Each web page is like a piece of the puzzle. Look at them all to see the whole picture. To get an idea of this site will take about two hours, to understand the concept behind it will take much longer. It is similar with humanity where each human is a piece of the humanity-puzzle. When all pieces have found their right place through destiny and are interconnected we'll see the true picture of humanity emerging. That happens when all humans can move and express themselves freely, once ancient ruler rituals have disappeared.